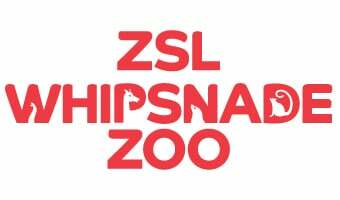 A huge-scale operation has been taking place at ZSL Whipsnade Zoo, as keepers coaxed thousands of animals, including parrots, meerkats, turtles and rhinoceroses, to step onto the scales for their annual weigh-in. As part of their regular check-ups, all creatures great and small, from gargantuan rhinos to feather-light butterflies, have had their vital statistics recorded as a way of keeping track of the health and wellbeing of the 3500 animals at the UK’s largest Zoo. Female Asian rhinoceros Behan, one of the heaviest animals at the Zoo, stepped onto an industrial sized weight-board and checked in at over one and a half tons, while the tiny Partula snail, which is extinct in the wild, weighed less than 4mg and required extra sensitive scales to accurately weigh it. Each measurement is recorded into the Zoological Information Management System (ZIMS), a database shared with zoos around the world, helping zookeepers compare important information on thousands of endangered species. Zoological manager Matthew Webb said: “All of our animals at ZSL Whipsnade Zoo have regular check-ups and are monitored daily, but the annual weigh-in is an opportunity to make sure the information we’ve recorded is up-to-date and accurate. As well as a key gauge of the animals’ well-being, keepers can use the regular weight checks and waist measurements to identify pregnant animals, many of which are endangered species that form part of the Zoo’s international conservation breeding programmes.